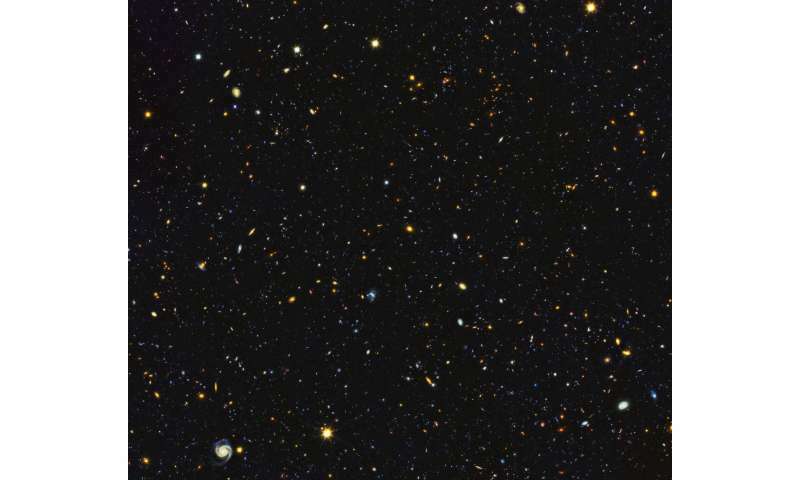 Game-changing resolution—whose name on the laws of physics for an expanding universe? Giving all members a say via electronic voting was introduced following criticism of the IAU's 2006 general assembly when a resolution to define a planet – that saw Pluto relegated to a dwarf-planet – was approved. Robertson did not know about Lemaître's work. Given the limited popularity of the Belgian journal in which Lemaître's paper appeared and the French language used, it is argued his remarkable discovery went largely unnoticed at the time by the astronomical community. In January 1930 at the meeting of the Royal Astronomical Society in London,the English astronomer, physicist and mathematician Arthur Eddington raised the problem of the expansion of the universe and the lack of any theory that would satisfactory explain this phenomenon. The IAU comprises of Individual Members (more than 12,000 people from 101 countries) and National Members (79 different academies of science or national astronomical societies). The decisions made by IAU do not have any legislative power, but it does say: "The names approved by the IAU represent the consensus of professional astronomers around the world and national science academies, who as 'Individual Members' and 'National Members,' respectively, adhere to the guidelines of the International Astronomical Union." a bit late to the game, as the strongest science attests to there is no ongoing cosmic expansion..
so we can call it the failed Hubble Hypothesis or Lemeitr'si keep me out of this please. There is no expanding Universe, it is merely a faerie tale put forth by the plasma ignoramuses. BTW, it is a great irony it's called the Hubble Law as Hubble himself didn't believe it. And his protege Halton Arp falsified it decades ago, the plasma ignoramuses just refuse to let their closely held beliefs go. There is good chance it will be eventually be found that the observed red-shift has another explanation and because of that the very distance measurements based on the present BB theory are wrong. The universe is most likely a SS recycling universe infinite in age and dimension. Hubble was instrumental in establishing distances to cosmological bodies, then simply dubbed 'Nebulae', and discovering that some Nebulae were in fact 'Island Universes', what we now call 'galaxies'. But he never accepted that the redshift represented radial velocity although that was the term used to describe redshift, especially in his 1929 paper. Hubble later introduced the term 'Red Shift' into serious academic works as a neutral term that did not predict the cause of the redshift as 'radial velocity' did. Hubble believed that the redshift was caused by a 'new principle of nature' and argued this until the day he died in all of his papers, books and lectures. An essay at this location https://www.faceb...1138221/ outlines Hubble's position from his own words and from an obituary written the year after Hubble's death by a 20 year colleague who knew Hubble and his ideas intimately. Take a great dead scientist who was unsure about something (because technology and subsequently the available data was not that great) and ignore all progress since then, thereby attempting to make it look like he agrees with you. Djorf, now be kind to the cultists and woo merchants. After all their delusions of competency are constantly reaffirmed by "scientific professionals". Their Proctologist's receptionist. Their Car Mechanic's detailer guy. Their Great Aunt Nelly's Medium's Spirit Guide. Can't argue with that level of professional expertise! What we generally call space is vacuum, occupied by protons electrons and neutrinos, as from these three ingredients all the particles occupying The Vacuum are constructed. By definition The Vacuum is not expanding, it is by virtue of the velocity of the protons electrons and neutrinos these particles are increasing the spatial distance between themselves. As the stars in galaxies are constructed from protons electrons and neutrinos which are galactically orbitaly bound it is the galaxy as a whole occupying The Vacuum and by virtue of its galactic motion it is increasing and decreasing the spatial distance between galaxies (galactically orbitaly merging collisions). As the galaxies are innumerable, telescopes have not scratched the surface as to their numbers; it is not presently technically possible to ascertain galactic orbitaly merging collisions are actually expansion! granville583762> galactic orbitaly merging collisions are actually expansion! Galactic orbitaly merging collisions are the gravitational attraction between galaxies; the key point is gravitational attraction between galaxies or more precisely, gravitational attraction. Throughout the the vacuum all galaxies are orbitaly bound to each other, in other words throughout the 15billion Lyrs telescopes can presently observe, galaxies are gravitationally attracting every other galaxy which eventually this galactic attraction is leading to a single galaxy of ginormous proportions resulting in gravitational attraction in expansion in the vacuum is a galactically contradictability collapsing expansion of mind blowing ginormous proportions in the infinite dimensions of the vacuum that two opposites expansion and contraction are not quasi-neutral resulting in not gravitational collapse but expansion! It is funny how the latest observations are tending to agree with Hubble, rather than your dogma. At that point you then failed to capitalize "vacuum". Now I'm completely confused. "none of the published expanding-universe predictions of galaxy-size growth fit the actual data." which, given we knowing merely that the universe expanding doesn't tell us how galaxies form and given we have yet to have complete models of galaxy formation, is a lie. Before we know if the model will fit with the data, we first need to form the model else we cannot assert whether the model will fit the data. "data for the surface brightness of disc galaxies are compatible with a static universe with redshift linearly proportional to distance"
If the universe wasn't expanding then, contrary to what we observe, there would be NO massive redshift of distant galaxies thus rendering this "linearly proportional to distance" irrelevant and this above assertion nonsense. So, it is YOU who believes in fairytales. It is not a scientific but a forced theological proposition and only Priest Lemaitre should own it! Also If the universe is Infinite, expansion has no meaning! Note that Hubble's scepticism about expansion does not mean that expansion is not true, only that Hubble never accepted it and argued throughout his life against it but this was friendly rivalry and he seems to have been friends with Tolmann who was just as strongly in favour of the expanding universe, Hubble even writing a paper with Tolmann on possible causes of the redshift (Tolmann taking the case for expansion, Hubble for the alternative view). Note that Einstein never accepted gravitational waves, at least until his 1936 paper meant to disprove the concept which, after errors were found and Einstein corrected them actually did the opposite and proved the possibility of their existence. He never, however accepted the singularity and saw it as an indication of an error, like a division by zero math error, and also never accepted the event horizon. We can list the beliefs of many famous scientists which were against the prevailing view and some turned out to be wrong.